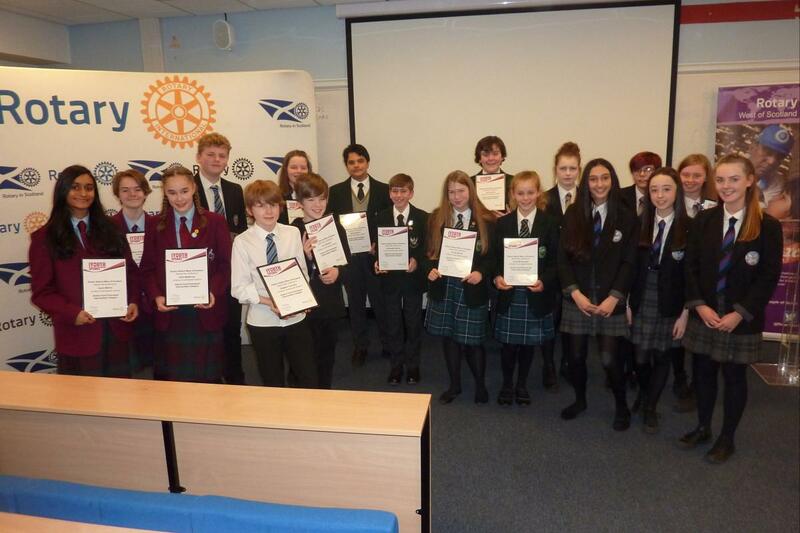 The debating chamber of the Palace of Westminster had nothing’ on the oration that was heard from schools taking part in the District Final of Rotary’s ‘Youth Speaks’ Intermediate competition, recently held at Glasgow Caledonian University. 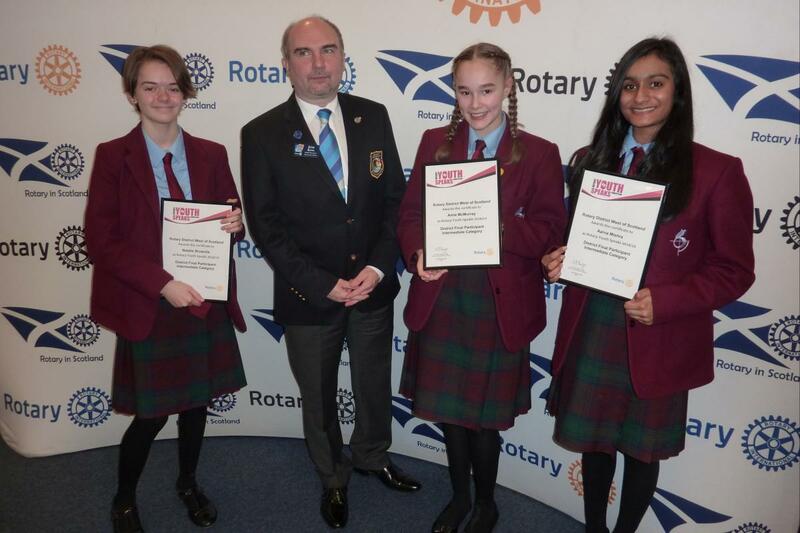 Speaking on ‘Baby Love’, St Andrew’s & St Bride’s emerged as worthy winners and progress to the next stage of the national competition. 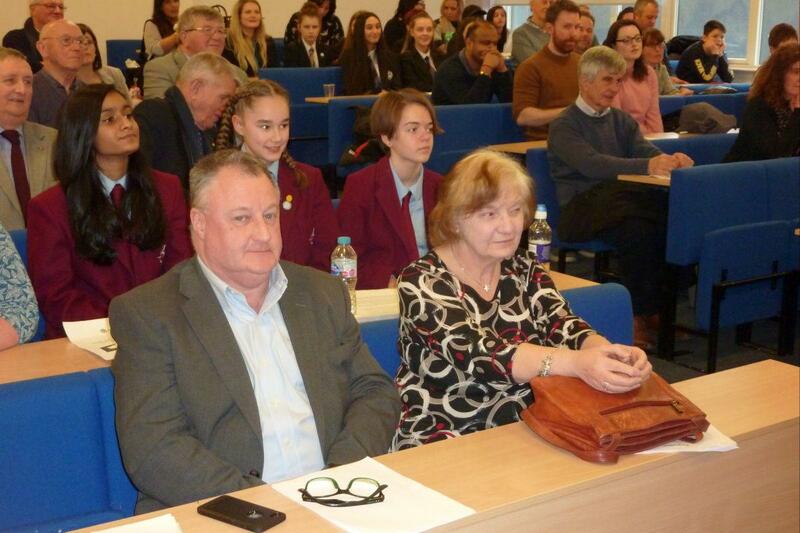 Six teams, each consisting of three pupils took part and the brief stipulated that there had to be a ‘chair’ and a ‘main speaker’ with the third member giving the vote of thanks. 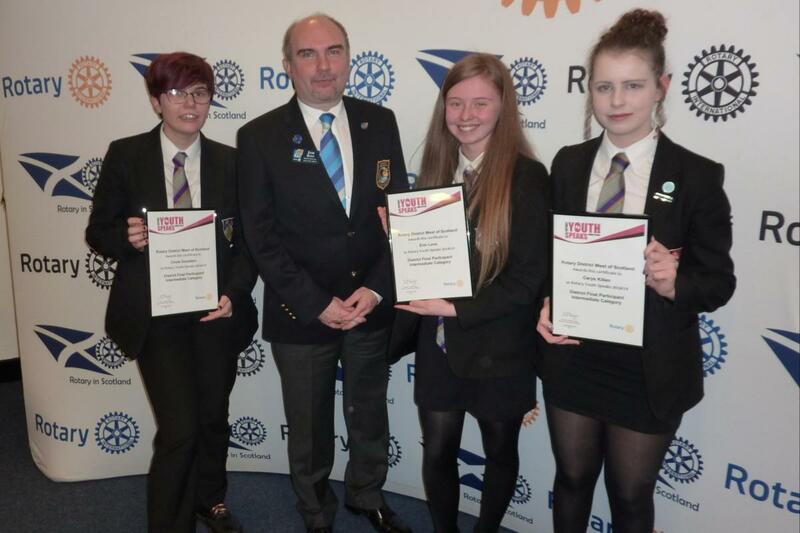 John Pears, chairman of the judges said, “The quality of the young people was seconded to none….. Today there were no losers”. 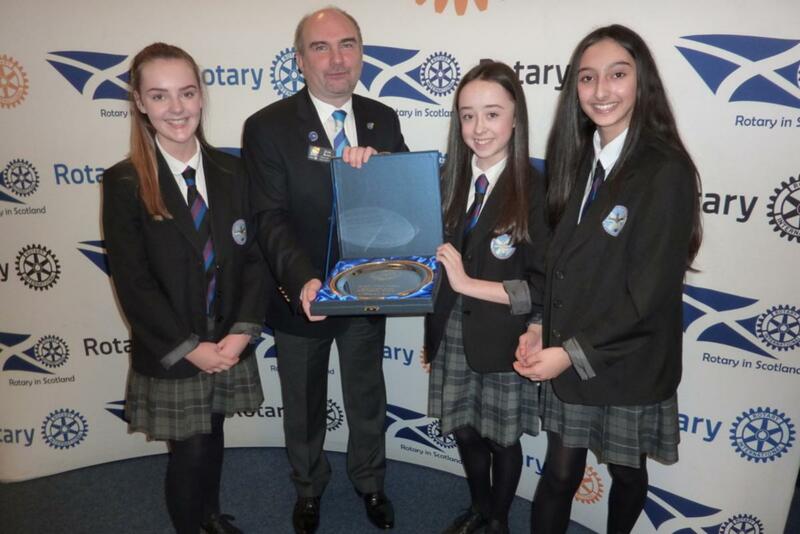 The winning team consisted of chair, Katie Nelson, main speaker Zahra Caunter and vote of thanks speaker, Niamh Greg. 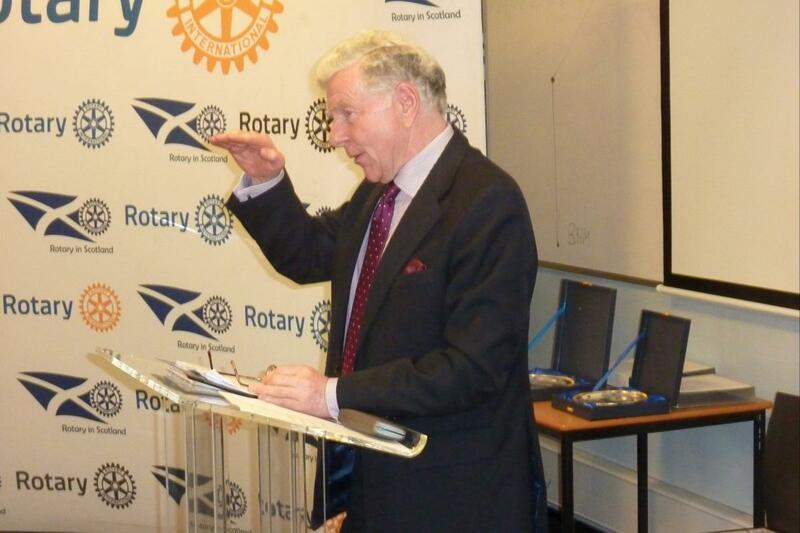 District Governor Jim Ross presented the prizes. 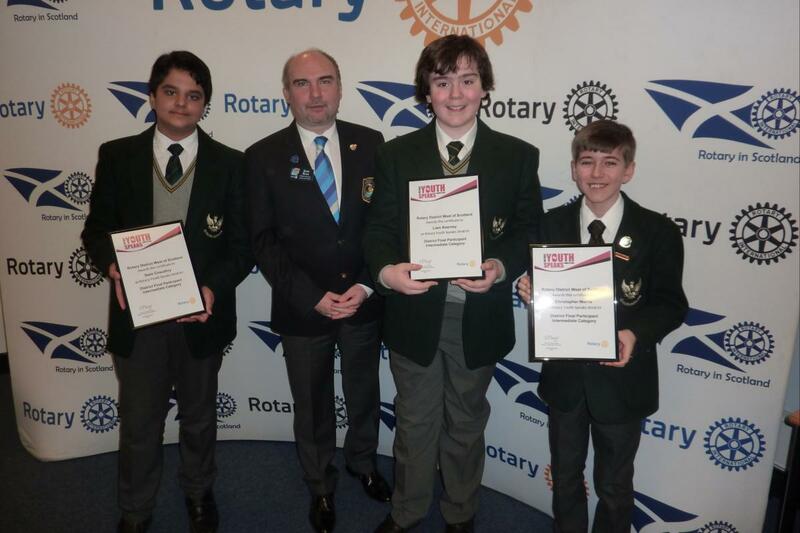 St Andrew’s & St Bride’s will now go forward to face other top schools from across the UK & Ireland in the National Final, which is being held at the Rotary Annual Showcase in Nottingham on Sunday 12th May. 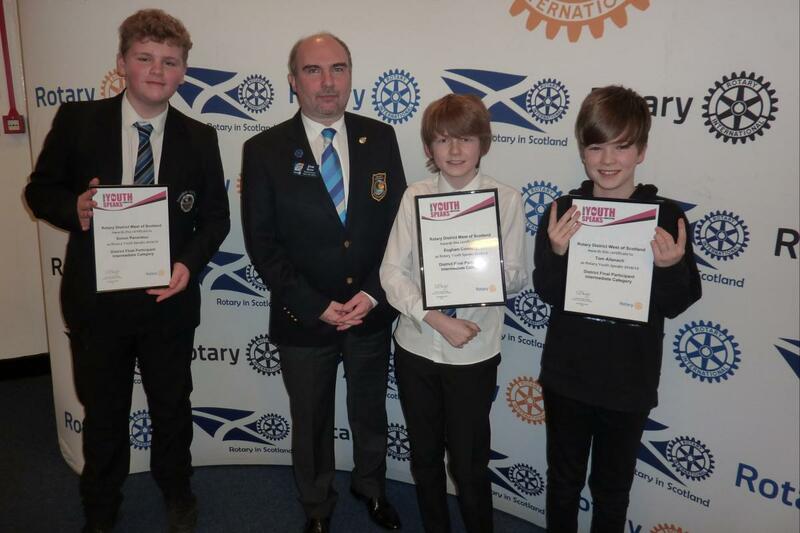 The Intermediate Category of the competition offers young people, aged 11 – 13, the experience of speaking on a public platform as members of a team. 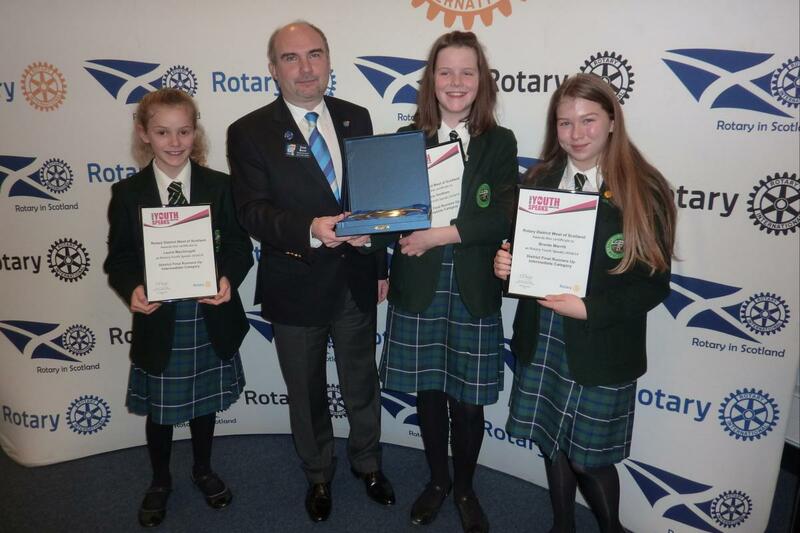 Each year, hundreds of young people take part in the local, district and regional events that culminate in the Rotary National Final.